Shirts With Random Triangles: Arkansas adds three-star safety prospect Myles Brooks to its 2019 football recruiting class, second commitment of the day. Arkansas adds three-star safety prospect Myles Brooks to its 2019 football recruiting class, second commitment of the day. Myles Brooks. Image via The Austin American-Statesman. Well, this was quick. 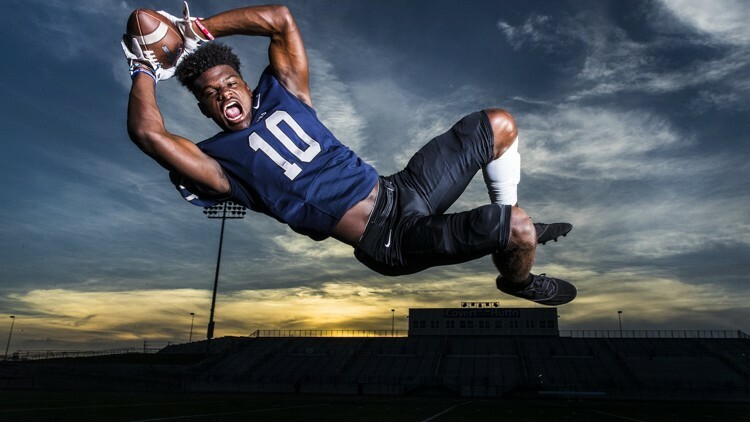 Arkansas has its second commitment of the day as Pflugerville, Texas rising high school senior safety Myles Brooks becomes the thirteenth member of the Razorbacks’ 2019 football recruiting class. Brooks’ fellow Texan, three-star inside linebacker prospect Zach Zimos (from Richmond, Tx.) commited to the Razorbacks earlier on Saturday. Brooks had previously commited to Baylor, but had decommitted from the Bears in June. 247Sports grades Brooks as a composite three-star safety prospect. The recruiting site’s prospect rankings for 2019 rank Brooks at no. 49 among safety prospects, at no. 85 among prospects from the state of Texas, and at no. 686 nationally. Brooks attends Hendrickson High School in Pflugerville, Tx. He stands 6’2, and weighs 190 lbs.